Dr. Pacheco earned a Bachelor of Science in Zoology from Washington State University in Pullman, Washington. She received her medical degree from the University Of New Mexico School of Medicine in Albuquerque, New Mexico. She completed an internship in Family Practice at the University of Louisville and a residency in Physical Medicine and Rehabilitation at the Amelia Brown Frazier Rehabilitation Center in Louisville, Kentucky. She is a Diplomate of the American Board of Physical Medicine & Rehabilitation and a Fellow of the American Academy of Physical Medicine. She is board certified by the International Association of Independent Medical Examiner. She has been in private practice in New Mexico over 20 years. Dr. Pacheco’s clinical experiences include serving as the Medical Director and Quality Council Chairwomen for HealthSouth Rehabilitation Hospital in Albuquerque, New Mexico. She has also directed Spinal Cord Clinics at various Navajo Nation Clinics throughout New Mexico and Arizona. She served as Medical Director for the Navitas Cancer Rehabilitation Center in Albuquerque, New Mexico and was a board member of Brain Injury Association of New Mexico. Dr. Pacheco has been involved in many organizations. She was a past president of the New Mexico Hispanic Medical Association and a member of the Greater Albuquerque Medical Association, the New Mexico Medical Association, and the American Medical Association. She has also served as the New Mexico State Representative to the Council of State PM&R Society and was the Chairwomen to the Hispanic Latino Health Advisory Council to the University Of New Mexico Health Science Center School Of Medicine. As a patient advocate, she has supported the brain injury waiver, the UNM MD/BA combined degree program, and has written an op-ed article in the Journal supporting the need for trained Spanish speaking translators in the medical setting. 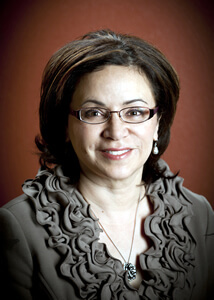 Dr. Pacheco presently resides in Albuquerque with her husband of 30+ years. She has two grown children and is now the first licensed physician permanent makeup artist in the state of New Mexico. American Board of Physical Medicine and Rehabilitation, Diplomate. American Academy of Physical Medicine& Rehabilitation, Fellow. International Association of Independent Medical Examiners, Fellow. The International Academy of Cosmetic Dermatology, member. The Society of Permanent Cosmetic Professionals, member. The Council of State PM&R Society, New Mexico State Representative, 1997-2003. New Mexico Medical Society, Member. New Mexico Hispanic Medical Association, Member from 1999-2008, Board of Director 1999-2003, Vice-President 2002-2003, President 2002-2003. Brain Injury Association of New Mexico, Vice President 2003. Greater Albuquerque Medical Association, member 1994-present. University of New Mexico School of Medicine, Hispanic/Latino Advisory Council, Chairwomen 2005-2008.